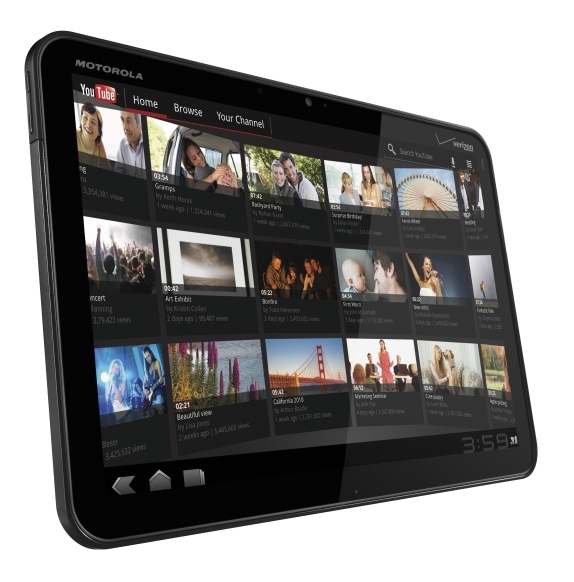 After Apple’s iPad 2, the Motorola Xoom has been one of the most highly anticipated tablets of 2011. The device will be released in Australia on May 24 through Telstra and, from June, through Optus as well. The 10.1-inch Android-powered device has a dual core 1Ghz processor under the hood and has many impressive features – and some frustrating ones. The Xoom is running the latest Android software version 3.0 – also known as Honeycomb – and has up to five customisable home screens. 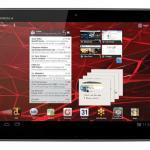 Motorola’s Xoom has a 10.1-inch screen with a resolution of 1280 x 800. It is about 25cm wide, 16.7cm long, 12.9mm thick and tips the scales at 730g. No physical buttons can be seen on the front of the device which is dominated by the touchscreen. 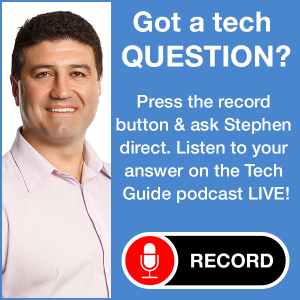 There are virtual navigation keys on the bottom left of the screen that can take users back a screen, back to the home screen and to recently used apps. On the front above the screen is a 2 megapixel camera and on the rear a 5 megapixel camera with dual LED flash which is also capable of capturing 720p high definition video. The device has a solid build quality to it with an aluminium and plastic sealed rear casing. The on/off/sleep key is placed in an unfortunate position in the top corner of the back which is right where you usually hold the device in widescreen landscape mode. During our review of the Xoom we found ourselves hitting the key when we gripped or picked up the device only to send it to sleep or be presented with the alert asking if we’d like to shut down the device. Another design decision we didn’t like was putting speakers on the back of the device. Watching a movie or listening to music the sound is aimed at the other people in the room and, while the audio quality is good, it would have been better if it faced the user. On the top of the edge of the device is SIM card tray which also conceals the microSD card slot. Unfortunately the microSD is not yet active so it’s not possible to expand the Xoom’s already generous 32GB capacity. It may be activated in a future system update. One thing you can’t argue with is the speed of the Xoom – it moves along nicely when opening and switching between apps. The screen is responsive when moving around home screens and scrolling apps but at times a little too responsive with accidental touches opening apps and connecting to links within the browser. Speaking of the browser – this is a bit of a let down with the Xoom despite the boast of it being the key feature and being able to run Flash. Out of the box the browser didn’t run Flash – we had to download it from the Android Market and install it. The sites certainly looked good on the screen but the multi-touch pinch to zoom and scrolling was often slow and imprecise. Many sites didn’t load properly in the browser and we had to try the pinch to zoom to fit it in the entire page. Turning the device on its side into the deep portrait mode didn’t improve things and sites were cut in half making the transition after a second or two and again need to be scrolled or zoomed to fit. The home screen can be customised with your favourite apps which are now becoming plentiful in supply. Some are also interactive like the Gmail and Calendar apps which allow users to scroll the information contained with their windows to easily read emails and entries. All of the favourites, including Angry Birds, worked smartly on the Xoom. The virtual keyboard was also one of the better features with the speed to pick to keep up with the fastest typers. Battery performance was also strong and lasted a full day before needing a recharge. 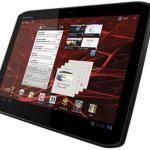 One of the things that will help the Motorola Xoom stand out from the crowd is the accessories available for it. There are two docks (Standard $69 and Speaker HD dock $149) which can charge the Xoom when it is attached and also connect the tablet to larger screen for easier viewing of your videos and pictures. A wireless Blueeooth keyboard ($79) is also available to give users the option of using physical keyboard in place of the virtual on-screen keyboard. The Folio on The Go ($59) is a cover which can unfold and act as a stand. Switching from cover mode to stand mode was clumsy and difficult and the Xoom fell out of it on to the table in the process. There is a lot to like about the Motorola Xoom. 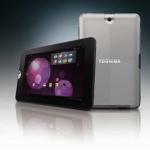 It is fast and reliable and offers a tablet experience which will only improve as more apps are made available. Unfortunately it is let down in a few areas and, while these might not all be dealbreakers, they prevent this good tablet from being a great one.